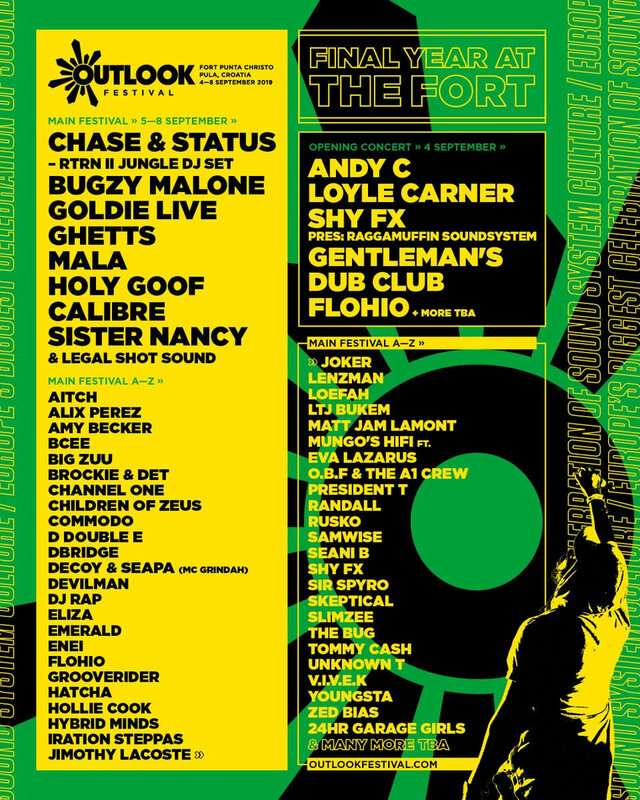 The Outlook festival is held in the late part of the European summer season. It takes place a few miles outside the city of Pula in Croatia at a unique location in the Fort Punta Christo. This is an old abandoned military installation that gives the event an exciting and intriguing flavour with sound stages hidden throughout the various tunnels and moats of this castle-like venue. The Fort itself is set on the beautiful Adriatic Sea providing attendees with a truly breath taking backdrop to this party. Musically you are looking at a bass-driven audio extravaganza at the Outlook festival. The event brings in many of the current crop of UK Urban music stars, playing their heavy, heavy blend of Reggae, Dubstep and Drum N’ Bass. DJs can be found in locations ranging from the Harbour Arena with its jaw-dropping views over the bay, to Noah’s Ballroom with its circular pit and the green enclave of The Garden. Each location has its own character and style providing a contrasting experience for attendees across the site. You can find camping at the Outlook site, providing you with a cool location to pitch your tent and rub shoulders with similarly minded party folk. There’s plenty of extra action going on at this festival with beach parties a-plenty and even boat excursions round the bay with DJs and dancers. With many people travelling from all over Europe to get to this event, expect a fully inclusive and accepting vibe where you can make new friends in the blink of an eye.